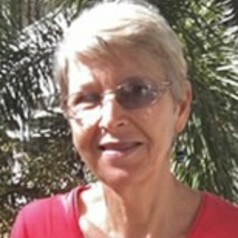 Dr Beryl Buckby is a Clinical Psychologist and Lecturer in the Undergraduate and Postgraduate Master of Psychology (Clinical) Programs at the Townsville campus of James Cook University. Her teaching and research encompasses Clinical supervision and psychopathology, Young-age onset dementia, mental health particularly Interventions for PTSD, and secondary traumatic stress, as well as suicide and suicide prevention in North Queensland Communities. Her current focus is Interprofessional education and communication and the role Psychologists play in enhancing person-centred care. She was previously a researcher for three years in the National beyondblue Postnatal Depression Program screening 4600 mothers-to-be in antenatal clinics across Queensland with follow-up at six months post-partum. Dr Buckby is currently collaborating with Dr Wendy Li and others to investigate mental health among medical professionals in Foshan City, China.